Morning ladies ( and gents). So happy for the weekend to have arrived - rather quickly I hasten to add. Although that's good isn't it! Excited to be out, out tonight - dinner with friends we've not seen for ages, so that will be fab to catch up with them, enjoy a great meal and have a 'couple' of drinky poos as well! I'm visualizing me in the recent purchase from M and S, a black blouse with lace sleeves and half lace yoke. It also has the very popular frills down either side - it's so stylish, but with a classic base, I haven't tried it on yet so until I do the jury is out on that one! Either teamed with a skirt or possibly dark jeans/trousers - let's see what fits first!!! Thinking today I'd share something that's on my wish list with you. Have you seen all the leather or faux leather skirts on your travels and on the internet? Been spotting them everywhere from Florence and Fred to M and S, and for that matter most places in between! Here's a few to get you going. 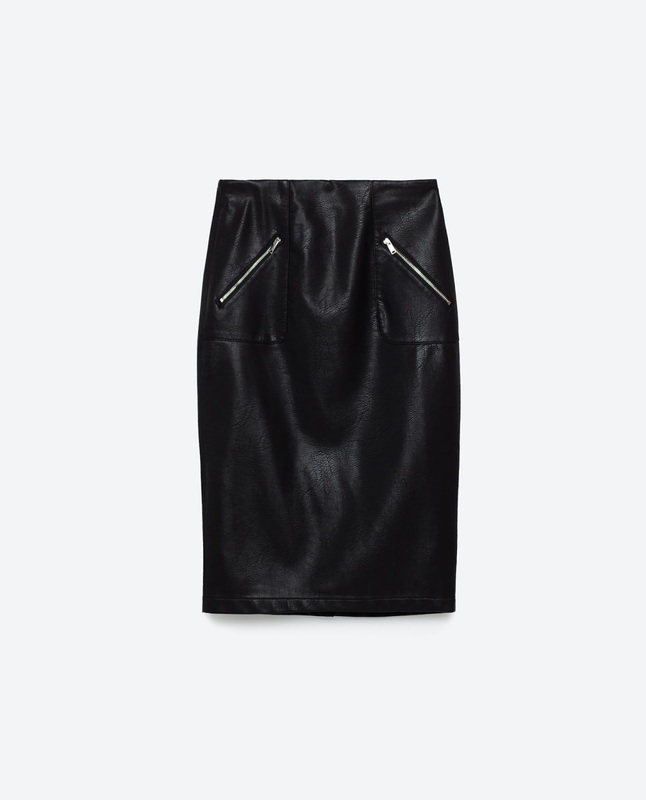 Starting with Florence and Fred, here's a straight forward pencil skirt in faux leather for the bargain basement price of £16! See here for details. How about this from Zara. this has two zip pockets and a high waist (always flattering) for £25.99. See here for all the information. Finally this stunning dark wine leather A line skirt, coming in at £199, top end for some people but a timeless classic you'll wear time and time again over the years. You can see it here from Marks and Spencer. So what's on your wish list? I'd love to hear from you whether it's a leather skirt, leather bag or just a chamois leather for your car! Ha ha. Watch out on IG here to see what I end up wearing tonight - fingers crossed the top fits! Over 50, today feeling over 70! Black and white at the cinema. Hello Monday - Weekend round up. Friday - Burgundy Jumper two ways. What hat are you wearing today? A windy afternoon by the beach. Got that Friday feeling? TGI Friday. Burnt Orange or Rust - what do you call it?